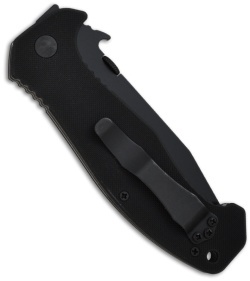 The Emerson CQC-15 Tant-Com features a tanto/recurve blade combo. 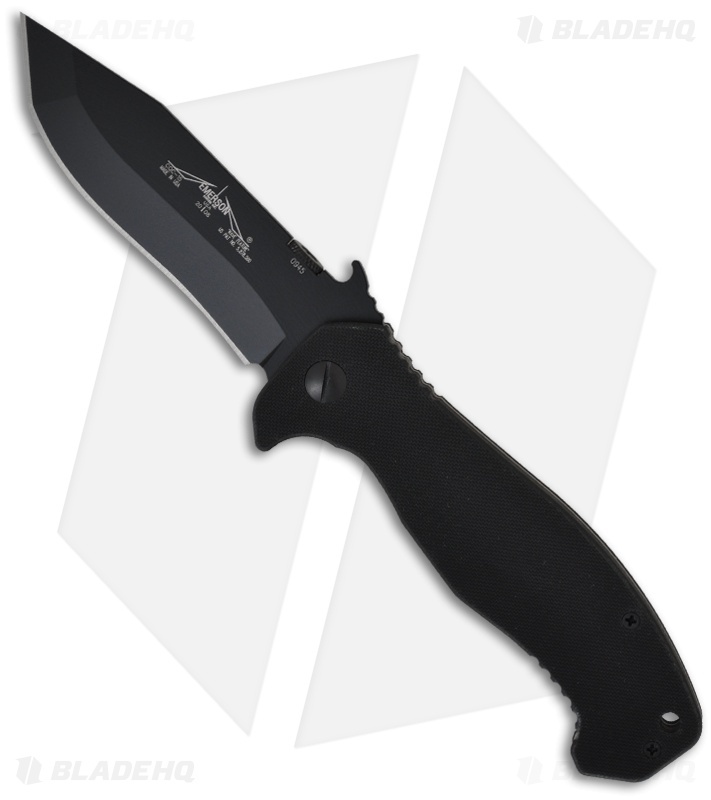 This blade combines the virtues of the piercing point on the CQC-07 and the cutting efficiency of the Commander knife. The 154CM stainless steel blade features Emerson's patented "wave opening feature" for remote pocket opening. This knife has a comfortable, secure and ergonomic G-10 handle with a titanium liner lock frame and black tip-up pocket clip. The CQC-15BT has a black finished blade with a plain edge. I have been carrying this knife every day for the past 3 years, on the exception of the times I sent it back in for service. Emersons customer service is very good, however you have to pay 15 dollars every time you send in your knife. The knife itself, I am not a soldier or fighter, just someone that tends to abuse knives. 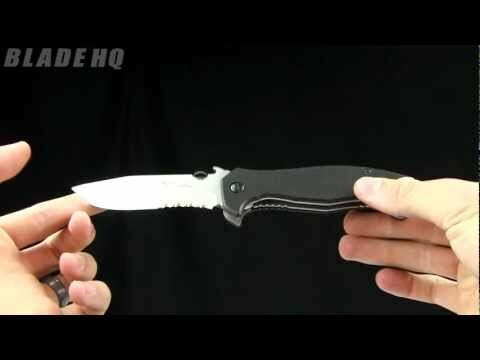 This knife is a tank. I have used it for a lot of different uses that would have broken other blades. Its just a great blade from a great company. I would recommend.